Electrical protection is an arm of Electrical Engineering that is concerned with the protection of electrical systems / appliances from faults by isolating faulty parts of a circuit from the rest of the connection. The major objective of a protection scheme is to ensure that the healthy parts of the circuit is kept stable by isolating only the components that are faulty, whilst leaving as much of the healthy part as possible still in operation. The devices that are used to protect electrical systems from faults are called protection devices, some of which include Protective relay, Fuse, Residual Current Device (RCD), and Circuit Breaker (CB). In this post, we will be considering circuit breakers as a protection device. A Circuit Breaker is an electrical switch designed to automatically protect an electrical circuit from damage due to over-current, mostly resulting from an overload or a short circuit. The basic function of the circuit breaker is to cut off current flow when a fault occurs on the circuit. A fuse performs similar functions with the circuit breaker but has it's disadvantages and it's specific applications. The application of Circuit Breakers ranges from small devices that protect low-voltage circuits, or household appliances, to large switchgears designed to protect high voltage circuits, supplying a compound or estates, to devices protecting huge motors, or devices feeding an entire city, and so on. 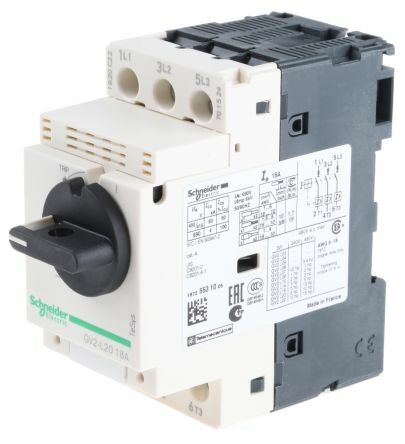 The generic function of a circuit breaker, RCD or a fuse, as an automatic means of removing power from a faulty system is often abbreviated as ADS (Automatic Disconnection of Supply). 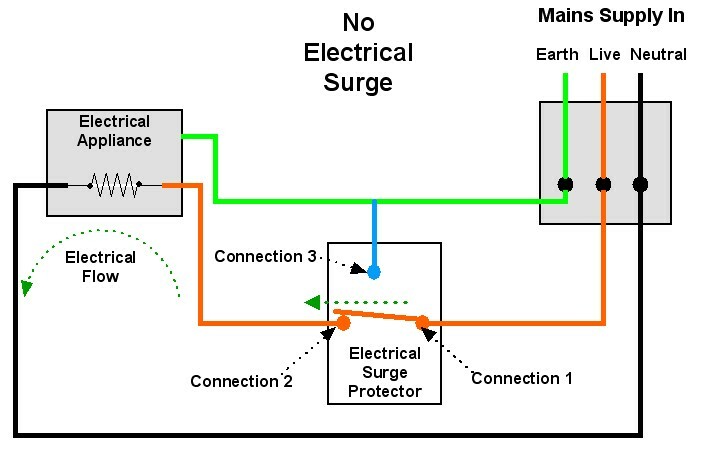 The currents which flow in different parts of a power transmission system immediately after the occurrence of a fault differ from those flowing a few cycles later just before circuit breakers are called upon to open the line on both sides of the fault. And all of these currents differ widely from the currents which would flow under steady-state conditions if the fault were not isolated from the rest of the system by the operation of circuit breakers. Two of the factors on which the proper selection of circuit breakers depends are the current flowing immediately after the fault occurs and the current which the breaker must interrupt. In fault analysis values of these currents are calculated for the different types of faults at various locations in the system. The data obtained from fault calculations also serve to determine the settings of relays which control the circuit breakers. There is a wide range of circuit breakers available, some of which will be discussed here. A miniature circuit breaker basically is an electromagnetic device that automatically breaks current flow to a circuit when the current in the circuit reaches a predetermined value. It can replaces the use of rewirable fuses in old distribution boards and is designed to operate accurately under both overloading and short circuit conditions. MCBs can be reset quickly after tripping, thereby reclosing / energizing the circuit for operation, The tripping of MCB can easily be identified under overload or short circuit condition as its operating knob moves from ON to OFF position. Generally, MCBs are rated for 230Volts AC for single phase, 415V AC for three-phase. An MCB rated at 10 A current operating on thermal-magnetic trip is the most common type used in modern domestic consumer units and commercial electrical distribution boards. When the circuit that an MCB protects is overloaded or faulty, the MCB trips but it can be easily restored by switching the MCB to ON position when the fault has been removed or the load reduced. It is a bad practice for the Breaker to keep tripping. This can damage the magnetic coil. An MCCB provides protection by combining a temperature-sensitive device with a current sensitive electromagnetic device. Short Circuits: A short circuit normally occurs when extremely high currents flow owing to the failure of an insulation system. This high current flow (short-circuit current) is limited only by the ability of the distribution system to stop this abnormal current flow quickly before it permits a major damage to the circuit. Thermal Overload: In an overload condition, a temperature buildup occurs between the conductor and insulator. If this abnormal temperature rise is left unchecked, the insulation will drastically disintegrate, ultimately resulting in a short circuit. This heat is a function of the square of the rms current (I squared), the resistance in the conductor (R), and the amount of time the current flows (t). Ground Fault: A ground fault is a type of phase-to-ground short circuit and it is the most common fault on low voltage systems. Usually, arcing ground-fault currents are not large enough to be detected by the standard MCCB protective device. But, if left undetected, they can increase sufficiently to trip the standard protective device. When this happens, it is usually too late, and the damage, already done. An example of this is a motor having an internal insulation failure. While the current flow may be small, it must be detected and eliminated before major motor damage takes place. The Motor protection circuit breaker is a specialized type of electrical protection device, designed specifically for electric motors. Electric motors have plenty of applications and are used to drive mechanical devices of all types; it is very important therefore to protect them adequately with MPCBs. The hydraulic magnetic circuit breaker is a mechanical circuit protection device. The main components are a coil, an iron core sealed in a tube filled with hydraulic fluid, a spring loaded actuator, and two electrical contacts. When excessive current from a current overload runs through the Breaker, the electromagnetic field in the coil is increased which moves the iron core through the tube and causes the spring loaded actuator to trip, separating the contacts and opening the circuit. Opening speed is determined by the viscosity or thickness of the hydraulic fluid. Hydraulic magnetic circuit breakers are temperature stable and not adversely affected by temperature changes in the operating environment. They always keep rated current within the temperature range -40ºC - + 85ºC, which gives design advantages if the application is exposed to fluctuating ambient temperatures. They are also more accurate in their tripping characteristic by always trip at their specified overload level, regardless of which temperature they have around them. The circuit breaker is a wonderful protective device. Though it may have high cost, it is however safe, efficient, reliable, and durable when used for the right purpose. Once the fault condition has been cleared, the contacts of the breaker are closed to restore power to the interrupted circuit.